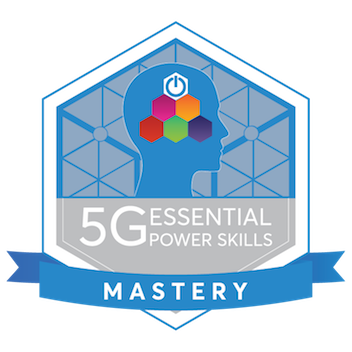 Earners of the 5G Mastery Certification have participated in twenty-five 5G Power Skills workshops. These workshops represent the top 25 interpersonal skills that industry is citing as a critical need in the workforce today. Each workshop is a facilitated discussion. Adults learn best from other adults and 5G is a dynamic collaborative learning environment using large and small group discussion and exercise with focus on how to bring these skills into daily use in their professional lives.